Jomo Cosmos will look to get back to winning ways after an unexpected defeat to Ubuntu Cape Town in the Nedbank Cup qualifier on Wednesday afternoon. Ezenkosi were knocked out after a penalty shootout but should not make much of their defeat as it gives them a chance to focus on their National First Division (NFD) title run. The Vosloorus based team trail leaders Highlands Park by four points with one match to go until the summer break. Ezenkosi host embattled Mthatha Bucks on Sunday afternoon in a match that should be interesting. The log leaders have been very impressive run since Owen Da Gama took charge in August but could find Igugu leKapa to be a little tricky. The Lions of the North advanced to the last 32 in the Nedbank Cup with a 2-1 win over Real Kings as they continued their great winning streak. They will look to increase or at worst keep their lead. This is bound to be a muddy battle as both look to move away from the bottom half and into a safer place ahead of the break. Eagles will be motivated by their rare and almost unexpected 3-0 win over AmaTuks in the Nedbank Cup. Ubuntu will also have some confidence after knocking out high flying Ezenkosi. Both were knocked out of the Ke Yona and the focus is back of the league. AmaTuks have been doing well lately after a mini slump and are third on the log. The Magic Boys have also been on a good run and have moved up to sixth and are four points behind AmaTuks. Tshakhuma have broken into the top eight and will look to use this home fixture to ensure their climb continues. But Eagles will be buoyed by their 3-0 win in the Nedbank Cup and look to supplement that result with another good one. Siyavutha have been on a good run while Stellenbosch have lost their momentum which has seen them drop down to fifth on the log. Spurs are eighth and will look to continue their climb and finish the first round in a good position to launch a title challenge next year. The Cane Cutters have been see-saw all season and have lost games they should have easily won but fought hard for a draw at Ubuntu last weekend and will feel they can steal something as well at Tingwenyama. Former Black Leopards mentor, Jean-Pierre Luscuito will come up against his former side for the first time and this should be an interesting match. Lidoda Duvha have been doing rather well since Luscuito left while he has failed to make an immediate impact at the Rich Boys. This could easily be the match of the weekend as Ezenkosi have been free scoring in the past few matches while Amathol’amnyama have struggling to find form. But with a new coach at the helm, Amathol’amnyama could be a tough customer for Ezenkosi. 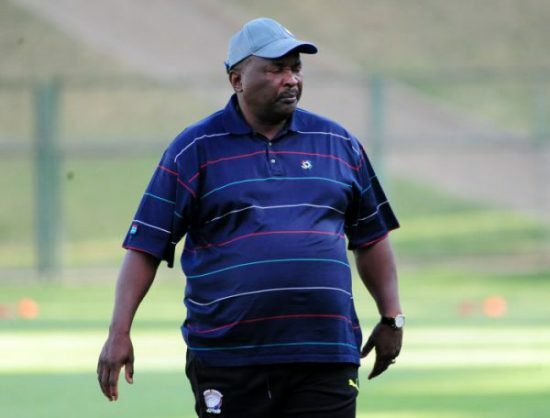 Duncan Lechesa named as new coach to replace Ian Palmer at the Eastern Cape based team last week.